I've really enjoyed some of the fantasy and science fiction put out by Curiosity Quills Press over the last couple years. As it happens, I managed to attend the Facebook release party for Prophet of the Badlands by Matthew Cox, and I found Cox and his cohorts to be quite a fun group! When the opportunity came up to participate in the book review tour for this book, I leapt. And whoa, this one is a doozy! 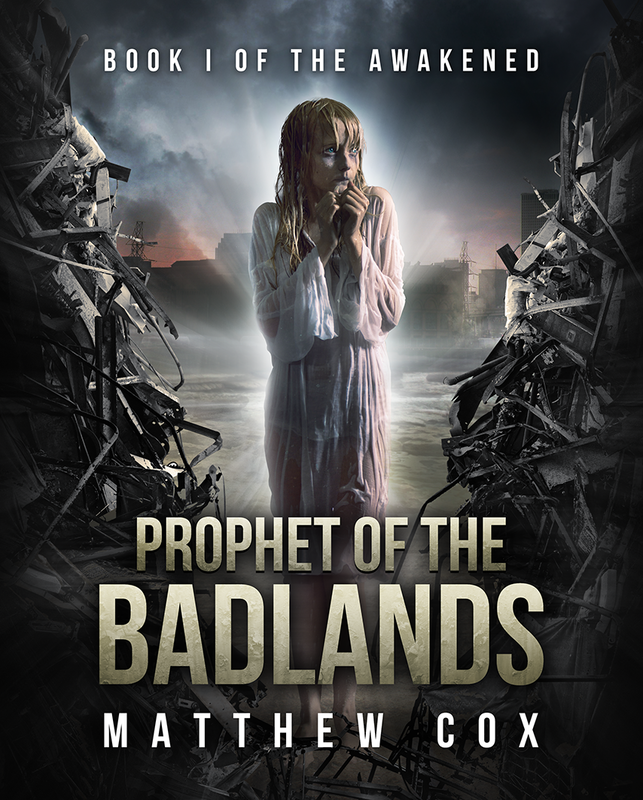 Prophet of the Badlands is available now! Prophet of the Badlands is an epic tale with that sense of the quest or journey that's so common in fantasy but without the deliberate, protagonist-with-a-goal element. You see, the main character of this book is twelve-year-old Althea, a girl with bioluminescent eyes, and the ability to heal herself and others. She's pretty remarkable simply on the physical level, but as the story unfolds, it becomes quickly clear that she's *astounding* on mental and emotional levels. This badass little heroine has the clearest moral compass of any character I've ever encountered. I found her journey utterly compelling as she undergoes an awakening of sorts. Moving across the futuristic, post-apocalyptic nightmare that is the United States in four hundred-plus years, Althea's understanding of the world becomes more complex; at times, it challenges (and at others it affirms) her strong sense of self and her even greater sense of morality. It was easy to root for Althea - her young age combined with extreme powers make her uniquely vulnerable. This made the emotional highs and lows (which are well balanced) much stronger, as I couldn't help but ride them right along with Althea. While I think the book's greatest strength is Althea as the main character, the plot is also pretty darn good. It has that epic-fantasy-journey feel to it, but with a science fiction/post-apocalyptic flavour. Something is always happening - whether Althea is grasping for and wielding what little agency seems to be available to her, or whether she's facing one of the *many* threats of the world. I loved the shift that happens maybe three-fifths through the book - I won't spoil it. Let me simply say that with every new tidbit we learned about the world, the more intrigued I was. The only downside here was that I found it hard to really wrap my head around Althea's actual physical travels. This really aligned me even more closely with her because Althea shared my confusion about geography. Prophet has a huge cast of characters - Althea meets the good, bad, and the ugly of her world in an almost shocking variety of forms. The one character I didn't really did was Aurora, mainly because I find it more obnoxious than alluring when characters hint at future events. Personal preference though. The only other issue I had was that occasionally the narration cues us to things Althea doesn't realize. I had mixed feelings about this - it occasionally suggested that the world isn't quite as horrible as Althea sees it, reminding us that she is twelve and that her experiences haven't been all-encompassing. As useful as her ability to read emotions and even thoughts is, Althea doesn't always interpret things correctly. But, I think it did run counter to that alignment with Althea - it always put a little distance between me and Althea. 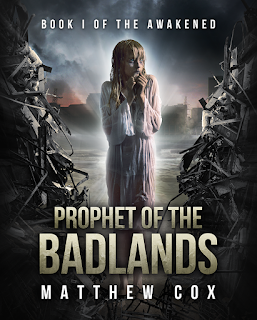 Prophet of the Badlands is a much larger, more epic story than I expected. It's also got huge heart (tears!) and one of the most memorable main characters I've encountered so far this year. Another easy top ten favourite for the year, I have to recommend that if you enjoy future stories (post-apocalyptic or more future tech based), you should grab this one! 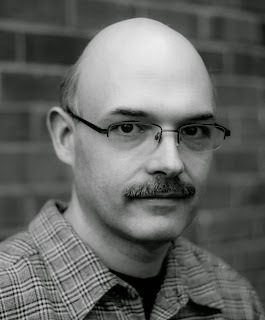 Hobbies and Interests: Matthew is an avid gamer, a recovered WoW addict, Gamemaster for two custom systems (Chronicles of Eldrinaath [Fantasy] and Divergent Fates [Sci Fi], and a fan of anime, British humour, reality, life, and what happens after it. He is also fond of cats.